The Deerfield BYOD/1:1 Hybrid program envisions a program that will engage students in their own learning by changing instruction to meet students in their digital environment at home and at school. The BYOD/1:1 hybrid Chromebook program will leverage school technology funds with parent purchases of devices. The fifth-grade team at Deefield Community School is off and running with their BYOD/1:1 Hybrid program. Take a look at their blog, DCS Tech Bytes, to learn about how they introduced the program to the parents and all of the work they did this summer. Google for Grown Ups-Are you Smarter than a 5th Grader!? about Google and how to use the Chromebooks at home. See how Deerfield's technology focus has evolved. Originally the team hoped that 20% of thir students would bring their own devices. In November the team realized that 80% of their students have their own devices. See the statistics and learn more in the DCS Tech Bytes blog. 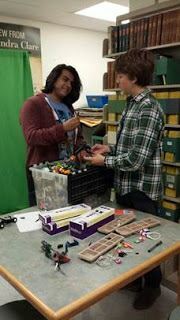 The ORHS Maker Space program envisions a space where students can learn and advance their spacial skills, explore basic engineering principles, and develop confidence in problem solving through hands-on learning, self-directed inquiry, and collaborative fun. To learn more, read the ORHS application. Oyster River High School has set up their Maker Space and is starting to populate it with tools to allow students to work on projects, network, and build. Learn about how one Advanced IT student has been working with the 3D printer and a Little Bits kit in the ORHackShack blog. 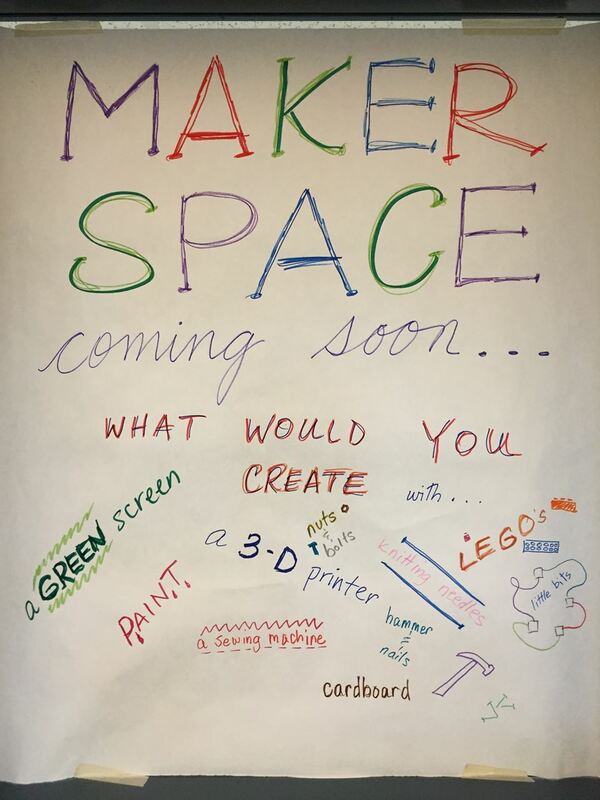 Creating and opening a MakerSpace is a big endeavor. 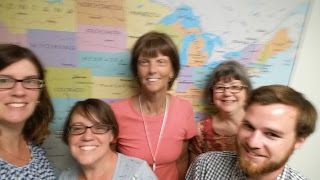 Learn about how the ORHS grant team has set up their space and the unique ways they are finding staff. The Shark Tank and Technology Education project looks to engage hands-on learners in the welding, woodshop, and automotive programs and allow students in these classes to become compentent and understand the role of troubleshooting, research and development, invention and innovation, and experimentation through problem solving. Receiving a technology based grant is sometimes the easy part. Read about how Sanborn overcame some adversity this summer with their grant project and how they have moved forward to get their Shark Tank and Technology Education Project up and running in the Sanborn Learning Commons blog. Organization, ease of access, and accessibility are key for a successful roll-out of any new technology in a school. Read the Sanborn Learning Commons blog to see what equipment the grant team purchased to keep their technology safe and usable.